When we approached The Church at Tubac, they had just gotten their website done. While the website met their basic need of needing a website that presented information about them, we knew that their website could be SO much more. It could be more useful as a tool, more effective at communication, and more representative of their organization. draws people to want to come visit. 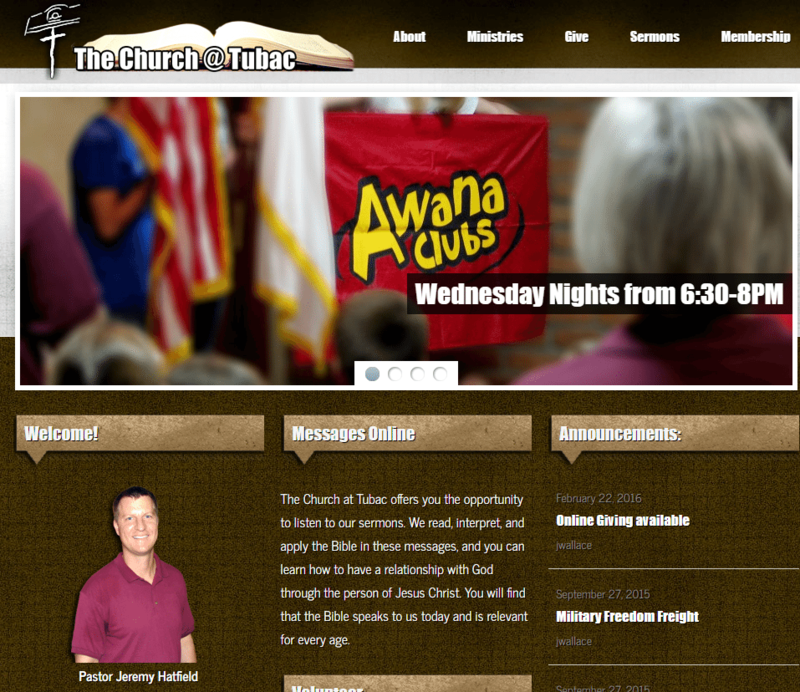 Working with the Church at Tubac we developed a website that is now used for a multitude of functions. Weekly sermons are published – streamed online and accompanied by the slideshow presentation of verses. Recent announcements and events like Vacation Bible School and their Awana children’s program are advertised on their site to properly inform parents, and we’ve built online registration forms to eliminate the overwhelming mess of paper registrations and filing – while also giving them real time numbers on the amount of people to expect for these events. We also set the website up for online giving – allowing people from anywhere to donate or give an offering straight from the website. Not only has their website been a powerful tool for them to utilize, but it has been a great representation of them as a church to the online community – having been the digital snapshot of who they are and what they do, and has drawn in families who eventually became full time church members. We don’t just build websites – we build businesses, we build organizations – we build up people. Your website should be working for you, helping you, enabling you. Contact us so we can help you identify your business or organization’s needs and find out a website solutions that’s going to make a difference for you!